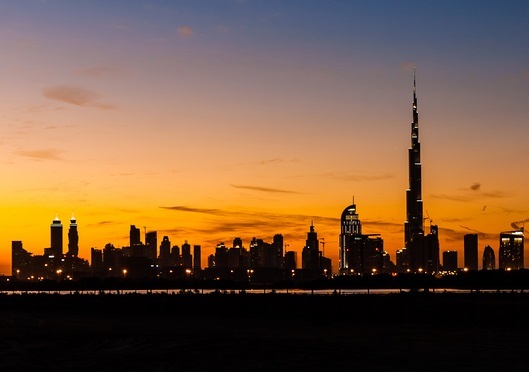 Dubai’s property sector is experiencing fast transformation and maturing with the master developers now dictating terms to non-resident tenants such as schools and hospitals to limit their fees that matches standards and lifestyle of the community residents. In a first of its kind development, the master developer Dubai South is negotiating with schools and hospitals to keep tuition and medical fees within the range of residents’ purse for the sake of providing an affordable services to community’s residents and part of Dubai’s happiness and positivity strategy. The master developer, however, is holding negotiations with the healthcare service providers whether they would like to offer insurance as well to the residents as part of its community service strategy. He said it’s an attempt to make people happier. “With all the schools, we have decided something. We have targeted more than 10 investors and education operators – renowned one – in the region. We have signed finally with Gems Group and they have confirmed to open a campus on half a million square feet. They will build a campus that will eventually be sufficient to accommodate up to 6,000 students from kindergarten to high school, offering the British curriculum. What we have confirmed with Gems is to limit tuition fee and not to go beyond average price of Dh30,000. The school will also accommodate sports centre, soccer fields and swimming academy within the campus,” he revealed during the press conference. “If we control affordability, it matches the people’s lifestyle who are living there. Therefore, the traffic coming in and out will be reduced and children can walk to school. Human factor is very important,” he noted. The Residential District in Dubai South will be developed jointly by the private developers and the master developer. Around 55 buildings are under construction, 22 planning permits are under process and 800 apartments are to be delivered by the end of this year from private developers. Schools, hospitals and a trauma centre will be part of the Residential District development, it was revealed at the press conference. Al Zaffin was speaking at a press conference to announce awarding over Dh600 million contract for the mixed-use project The Pulse to Al Qabdah Global Building Contracting in Dubai South. The project comprises 11 residential buildings with completion in 26 months. Four buildings will be delivered in mid-2018 and the rest in two stages by mid-2019, said Samer El Achkar, CEO, Al Qabdah Global Building Contracting. Launched a year ago comprising of residential, retail and hospitality segments, around 90 per cent of The Pulse has been sold out. This will be first residential project to be delivered by Dubai South. “More than Dh7 billion will be pumped into real estate projects in Dubai South ahead of Expo 2020 with half of them from the master developer and the remaining from the private sector,” he added. The master plan also includes The Pulse Mall which will open in early 2020 while the tender for the mall will be released in mid-2018. Al Zaffin said Dubai South has allocated Dh1.1 billion for the infrastructure as the development enters into second phase of infrastructure development. “We are not just a developer after the money. We would like to build a lifestyle where people live in a good environment. If you look at the prices, we are almost lower than other developers. Dubai South is a multi faceted business and our revenues are coming from various areas. Real estate as a vertical is one of them,” he noted.